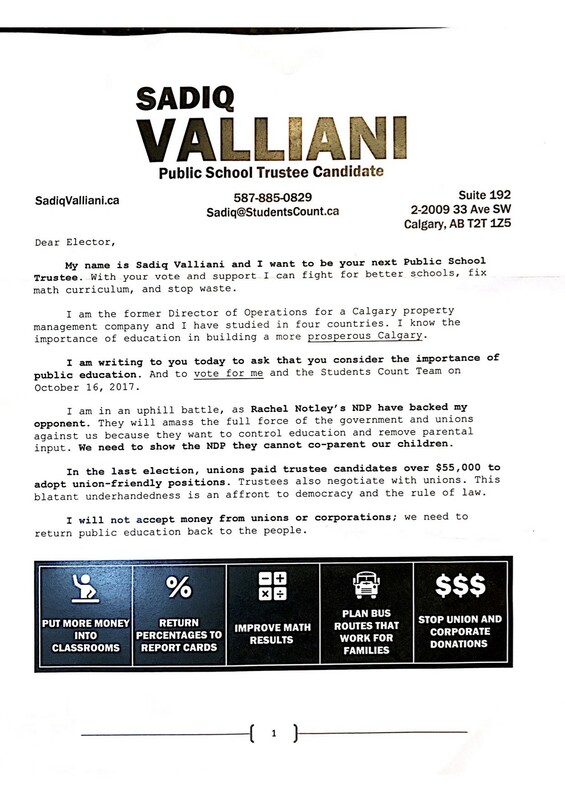 Calgary’s election campaign for public school trustees has taken an overtly partisan turn, with campaign literature from a Students Count candidate suggesting the provincial NDP is trying to “co-parent” kids and remove parental input from education. 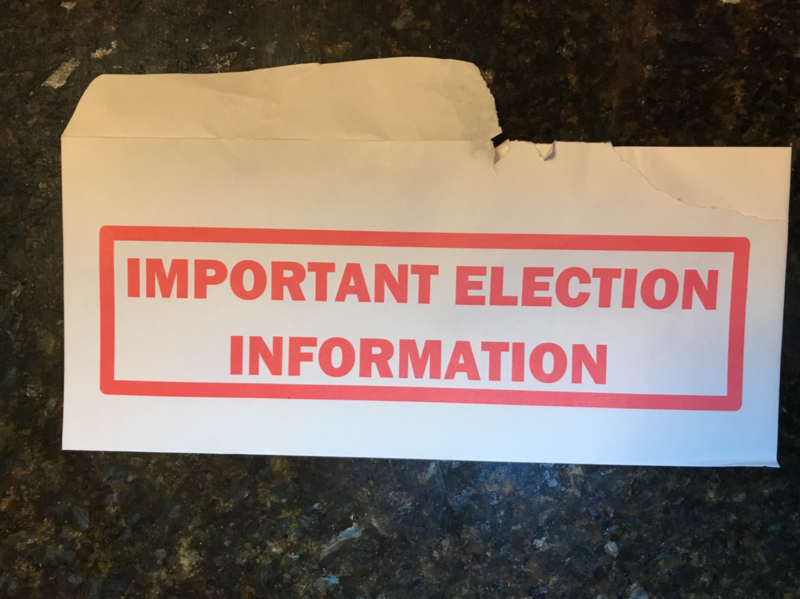 “This election is your chance to let the NDP know that you are rejecting its ideology,” says a letter from Sadiq Valliani, the Students Count candidate for Wards 11 & 13, which appeared in mailboxes in the city’s southwest this week. The Sprawl reached out to both Valliani and Students Count media spokesperson Kelley Charlebois early Friday evening, but messages went unreturned. 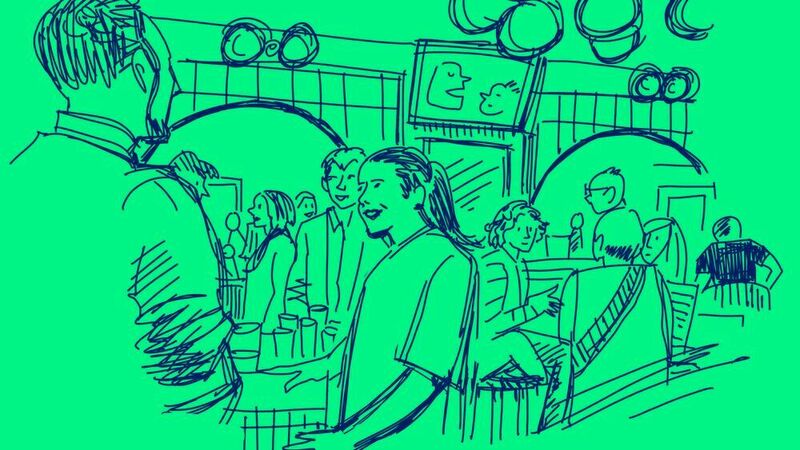 The trustee race is usually quiet compared to the councillor and mayoral contests, but it’s anything but in 2017. 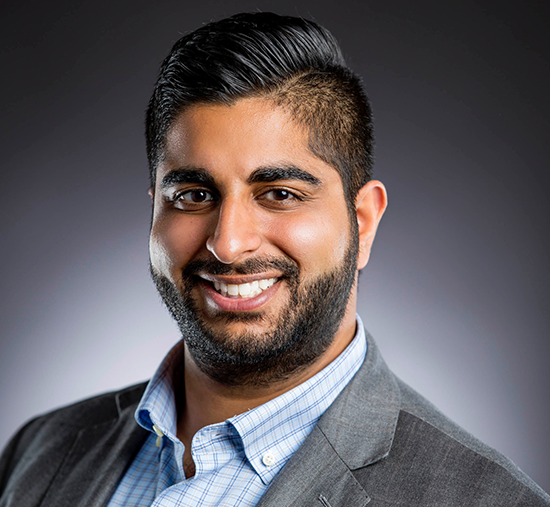 Students Count candidate Sadiq Valliani, Wards 11 & 13. 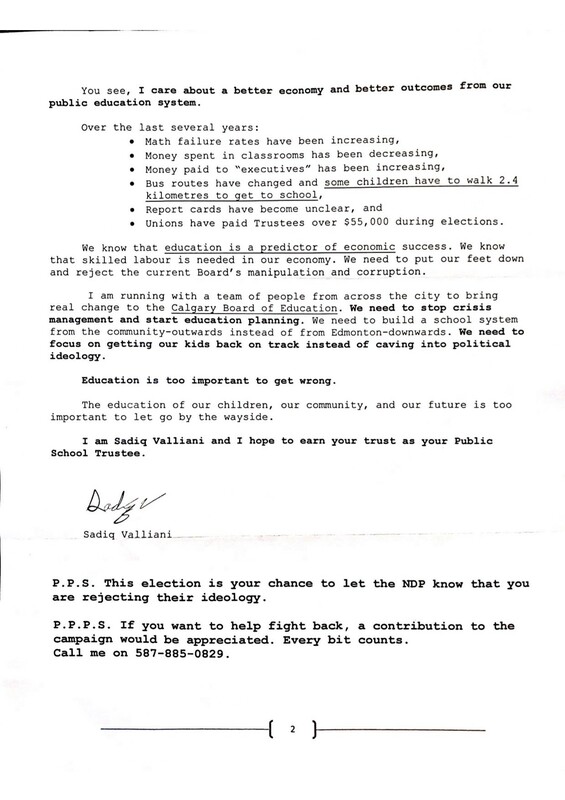 The letter targets incumbent Julie Hrdlicka, whose 2015 byelection campaign was largely funded by unions. The Students Count slate says it wants big money out of trustee elections (corporate and union), but has stayed mum on its own backers, even as it runs a slick campaign which is unusual on the trustee level. The group has openly said it hopes to get at least four candidates on the seven-trustee board, so they can vote together. Students Count has numerous conservative connections. 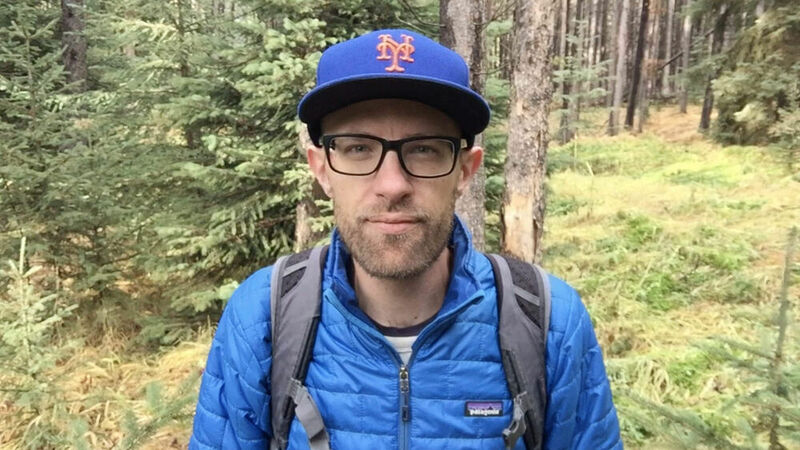 Slate organizer Kelley Charlebois is a former PC executive director. Lisa Davis, who is running for Students Count in Wards 6 & 7, is a former PC board member and was campaign manager for (then PC, now UCP) MLA Mike Ellis. 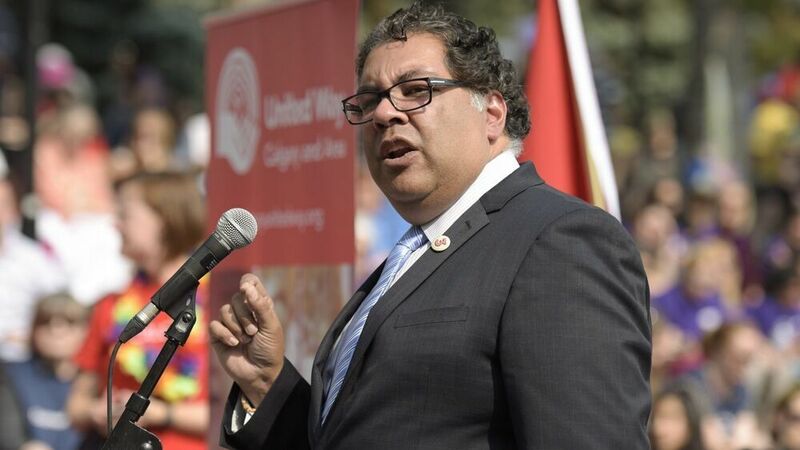 Valliani is listed as a board member of the Calgary Signal Hill Conservative Association, where Ron Liepert is MP. UCP leadership hopeful Jason Kenney, who’s been criticized by LGBTQ2 activists for his stance on gay-straight alliances (GSAs) in schools, has been effusive in his praise for Students Count. 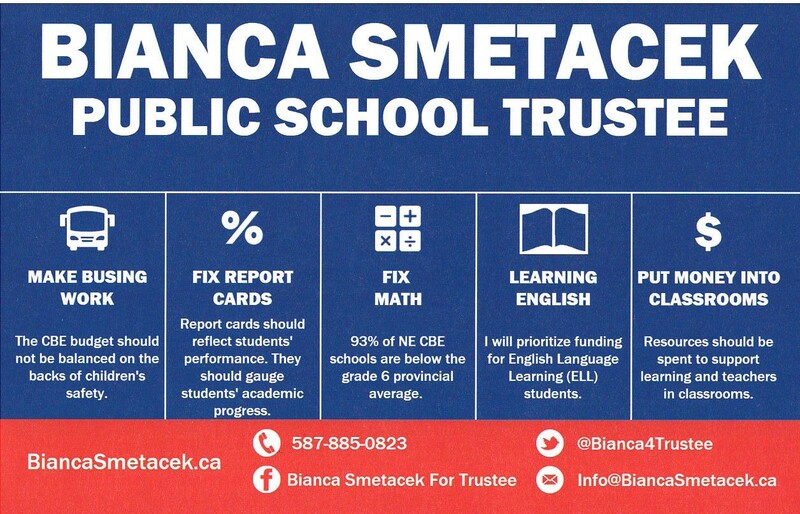 Trustee candidate Bianca Smetacek, a strong Kenney supporter, was originally part of the slate, but left in July after controversy erupted over her past statements on Twitter. Smetacek is running independently in Wards 5 & 10 but still sticking to most of the slate’s five-point platform. That point doesn’t appear on Valliani’s letter or Smetacek’s recent handouts. It’s replaced by a point about improving busing (and learning English, on Smetacek’s).